Did you know that at its worst, gum disease is the leading cause of tooth loss in America? But if you think the consequences couldn’t possibly get any worse than that—think again. Research shows that there is a link between gum disease and the health of your heart. If you’ve been diagnosed with gum disease in Waco, then please seek treatment immediately for the sake of your smile and your heart. What are Heart Disease and Gum Disease? Heart disease is actually a collection of conditions that includes heart attack, arrhythmias, stroke and more. Blocked or narrowed blood vessels are the leading cause of heart disease. Gum disease is a bacterial infection that begins when the bacteria in plaque invade gum tissue. There are three stages: gingivitis, periodontitis and advanced periodontitis. What Is the Connection Between and Gum and Heart Disease? In recent years, there has been much research conducted to verify the link between these two diseases. For instance, a review article from the National Institutes of Health looked at a number of studies and found that periodontal disease increases the risk of heart disease by about 20 percent. In another study done in 2014, people with both gum and heart disease were followed. Those that received quality treatment of their gum disease had heart care costs that were ten to 40 percent less than the subjects not receiving good periodontal therapy. In total, the research backs the idea that gum disease can lead to heart disease. 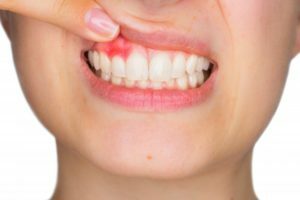 Both the American Dental Association and the American Heart Association acknowledge that the same bacteria that lead to periodontal disease may also cause important blood vessels to become narrowed or blocked. The easiest way to find out whether or not you have gum is by having regularly scheduled dental checkups. At these visits, the depth of gum pockets around your teeth are probed and measured. Anything deeper than four millimeters is considered an early warning sign. If you notice any of these symptoms, don’t wait for your next checkup. Call a dentist and schedule an appointment. Periodontal therapy in Waco can halt the progress of gum disease and possibly prevent heart disease. At Heart of Texas Smiles, Dr. Nick Cobb and Dr. Theresa Lassetter provide patients with comprehensive care, using state-of-the-art equipment. To schedule an dental checkup or to receive periodontal therapy that restores gum health, you can contact the professionals through their website.